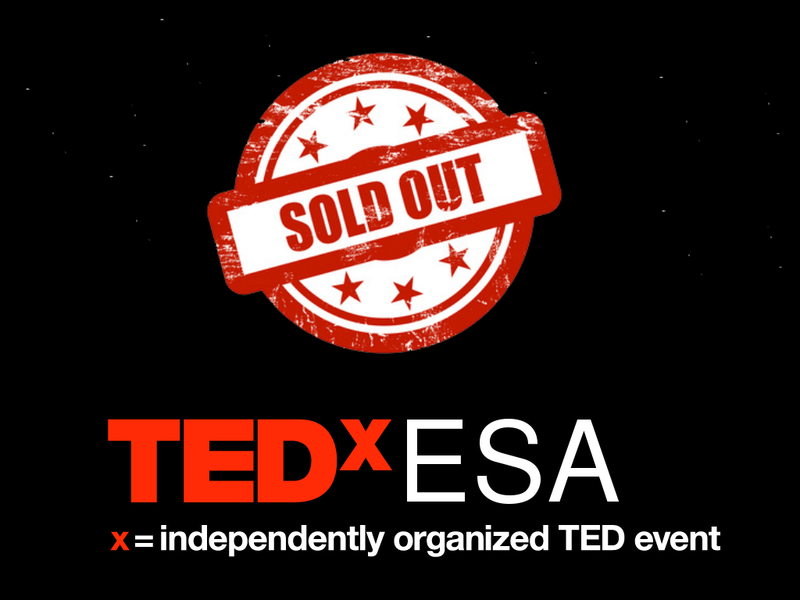 TEDxESA is now sold out. Thank you so much for your interest and great applications. We look forward to welcoming you at ESA ESTEC on Wednesday 11 November 2015. For those who have not been lucky enough to attend this year: we have created a waiting list in case of any cancellations. Of course nobody will have to miss TEDxESA. The conference will be livestreamed, while in addition all talks will be available on demand via TEDx talks and TEDxESA YouTube channels gradually, following the event. Stay tuned for updates on further speakers, the livestream and more.